1. Do not for washing dishes or other household chores without a pair of rubber gloves. 3. Do not use chipped polish or naial you damage your nails. 4. 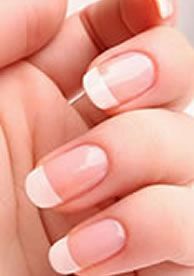 Let your nails too long or difficult to break them. 5. Do not use your nails as tools or gets weak. 6. Do not let a day pass without moisturize your cuticles. 7. Has no heavy packages or will left a bad influence on your forties. i meant the things totaly out of fashion man.